Myths and misunderstandings can create barriers to effective support for pupils with ADHD. Gareth D Morewood shares some advice from a recent event. I have been fortunate to have been part of the work previously developing ADHD care pathways and supporting the development of training materials for schools. ADHD however, remains something I feel I, and many other schools and colleagues can learn more about. I was therefore delighted to speak at the recent Stockport Parents of ADHD Children in Education (SPACE) event. It proved an invaluable learning experience for me as well as sharing some of the things we do with the delegates who attended. SPACE Stockport is a support group for parents and carers of children and young people with attention deficit hyperactivity disorder (ADHD) and associated conditions in the Stockport area. The SPACE committee members are all local parents who have children with ADHD. They hold regular meet-ups, which are an opportunity to talk to other parents who face the same challenges, in a relaxed and informal way. 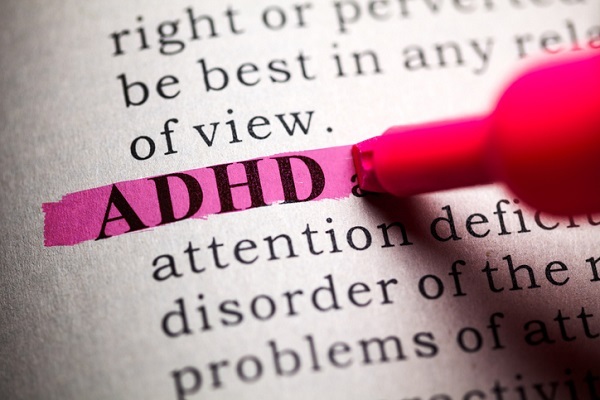 ADHD is a diverse neurobiological condition characterised by symptoms of inattention, hyperactivity and impulsivity that can have a significant impact on young people and their families. At one time, many educationalists viewed ADHD to be a condition that only affected male children. We now know this to be incorrect, but unfortunately the stereotype of unruly little boys continues to affect the diagnosis of girls and adults, in particular those without hyperactivity. hear from young people living with ADHD. It was also a good opportunity for me to learn more about some of the myths associated with ADHD and hear directly from two young people who have lived experience. The ‘double act’ from Georgia (@travers_georgia) and Bryn (@BrynTravers) Travers was nothing short of inspirational; their personal routes through diagnosis, education and into adult life was truly illuminating, and although one of their first speaking engagements, there will most definitely be more to follow for sure. The day began with an excellent debunking of the myths and misconceptions about ADHD that fuel many an ill-informed opinion. Here are ten myths that are all, quite simply, untrue. ADHD is the result of bad parenting. All pupils with ADHD are hyperactive. ADHD can be cured with some good ‘old-fashioned’ discipline. ADHD isn’t a real medical condition. Pupils with ADHD will outgrow it eventually. If you have ADHD, you are lazy. All you need is medication to treat ADHD. ADHD only has an impact on life at school. You can read more about the facts and myths associated with misinformation and ADHD from the following five websites. One thing that became very clear on the day is the number of very common myths and the amount of conflicting information from different sources. The links above will help you to develop your own training packages or factsheets as required. My session was entitled ‘Working effectively with schools; why co-production is essential for good outcomes’. One thing I was certain of prior to the event and am even more so now, is that coproducing provision and agreeing outcomes is absolutely essential. There is always lots of conflated discussions and debate about ADHD in schools, mainly around behaviour and perpetuating the myths highlighted previously. Gaining clarity with regard to the facts and working positively with families is vital if young people are to achieve their potential. Coproduction means working positively not only with families, but also health services as part of an integrated approach. For me there are several key areas to coproducing provision and outcomes that require careful consideration. Many parents and carers are fearful of trying medication, but ADHD medications are some of the most well-studied across all areas of medicine. Stimulant medications (such as Ritalin, Adderall, or Concerta) are the most commonly prescribed. These drugs stimulate the parts of the brain that are understimulated, the parts related to thinking and attention. The goals of these medications are to reduce hyperactivity or impulsivity, and increase attention and concentration. Specific therapy can support the child with monitoring and eventually modifying disruptive behaviours. The therapist can support development of social skills, such as waiting your turn, reading facial expressions, sharing, asking for help, and reacting appropriately when teased. Cognitive behavioural therapy has a focus on mindfulness, and teaches a child to be aware of their thoughts and emotions as a way of improving attention and focus. Knowing oneself, or one’s child, can help parents, carers and schools understand how ADHD and its symptoms affect the family unit and educational setting. Parents and teachers can learn and develop tools that can help the child develop new, pro-social, and positive behaviours. Adults can learn how to cope with inappropriate behaviours and encourage positive ones. This can help reduce presenting symptoms and subsequently improve outcomes. A coach/mentor (or TA) can help students with ADHD work toward goals, see change as a positive thing, improve productivity and functioning, and keep a student accountable. This is particularly useful for older teenagers. ADHD is relatively common and often persists into adulthood. Despite this, access to adult ADHD services and support is generally poor, resulting in frequent gaps in care. For these reasons, ADHD provides an excellent example of where poor transition into adult services exists. the social stigmatisation of mental health issues. Involve young people in the transition process, decision-making and goal-setting. Ensure transition of support is developmentally appropriate and tailored to the patient. Address all relevant outcomes (such as education, employment, health and independence). CAMHS and AMHS should work together to make the process of transition smoother. Transition planning should take place early; the point of transfer should not be based on a rigid age threshold. A named worker should co-ordinate transition of care and support. Parents and carers should be involved, if possible. Ultimately I think that there is still a considerable amount of uncertainty and misunderstanding when it comes to supporting young people with ADHD in schools. It seems that we need a radical rethinking of how we can improve training and support for schools, teachers and wider professionals, and work better with families. In the true spirit of the Children and Families Act (2014), coproduction really is the cornerstone of improving outcomes for pupils with ADHD: health, education and families working together to make a positive difference. Hopefully this post will inspire you to start. @ADHDFoundation – an account that provides lifespan multi modal clinical & psychological services. Training for professionals around the UK. Promoting Neurodiversity & inclusion. @ADHDAction – a charity beating stigma and transforming diagnosis and treatment for ADHD. Sharon (@strav18), Georgia (@travers_georgia) and Bryn (@BrynTravers) talk about ADHD from inspirational personal experience. Claire Worthington (@WorthyOnTheWeb) who along with Sharon, Donna and Michelle form the SPACE Team (@SPACEStockport).